The app’s goal is to encourage people to take small standing breaks at specific intervals throughout the day…read more in April’s issue of Student Health 101. 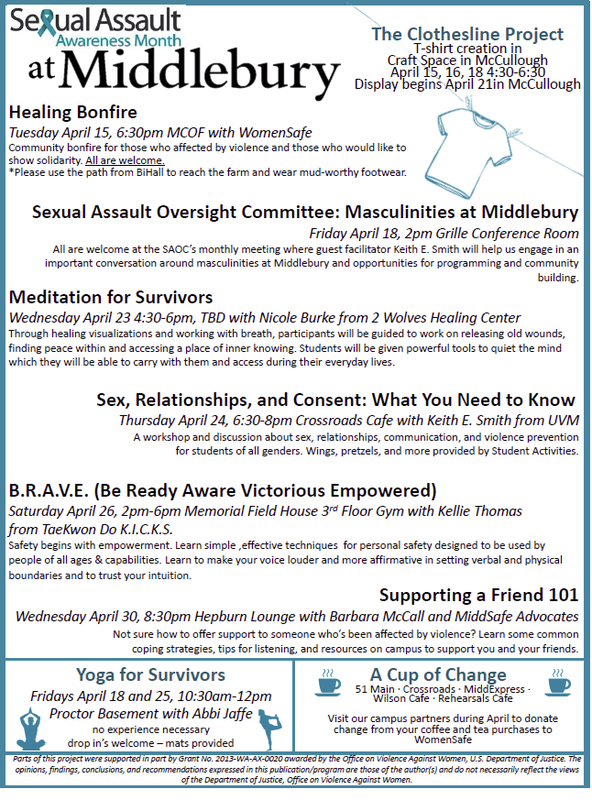 Please join the Middlebury community by participating in events for Sexual Assault Awareness Month (go/saam14). All events are open to students, faculty, and staff.